With nearly 50 years of clinical and therapeutic experience, ERT is a global data and technology company that minimizes uncertainty and risk in clinical trials so that its customers can move ahead with confidence. In 2017, ERT supported more than 60% of all FDA drug approvals. Learn more at www.ert.com. goBalto is the industry leader in cloud-based study startup software for the global life sciences industry, offering the only complete end-to-end platform for starting clinical trials, from site identification, feasibility assessment and selection through to activation, with comprehensive metrics to track adherence to timelines and budget. For more information, visit www.gobalto.com. PRA Health Sciences delivers a broad range of product development and data solution services to biopharmaceutical companies. We partner with clients across all phases and therapeutic areas on treatments that improve patients’ lives. Covering 90+ countries, we provide global presence and in-depth knowledge of local regulations, standards of care, and cultural customs. Learn more at www.prahs.com. Trialspark is a technology company that is reimagining clinical trials. Trialspark has scaled a network of trial sites by partnering with doctors to create clinical trial sites within their existing practices (like Airbnb). We run trials out of these doctor practices using a roaming cohort of certified research coordinators (like Instacart), optimized by software, data, and technology. Without variability in operations at the trial site level, Trialspark cuts out the manual, time intensive, and costly tasks that traditional CROs use. By creating trial sites with doctors, Trialspark unlocks the 98% of patients who have never been exposed to trials, boosting recruitment and enrollment rates. For more information visit www.trialspark.com. Be the Partner provides a patient relationship management platform that enables the biopharmaceutical industry to build a strategic community of trial patients and alumni beyond clinical trials. The platform is available in 26 key countries and allows a long term strategic engagement with the people behind the subjects. Learn more at www.bethepartner.com. BioSensics is a globally recognized provider of wearable sensor technologies for clinical research and medical applications. BioSensics technologies include innovative solutions for aging-in-place, telehealth, chronic disease management, physical therapy, rehabilitation, and clinical research. Learn more at www.biosensics.com. ClinEdge offers integrated site and patient solutions, patient concierge services, and health program development for clinical trials. ClinEdge’s patient travel concierge manages all study related travel logistics for patients, caregivers, and site staff. With experience across various therapeutic areas and capabilities spanning 6 continents, ClinEdge’s unique patient-centric travel support services are designed to ease travel burdens, provide personalized support, and ensure all out-of-pocket expenses are managed. Our expansive programs combine and leverage three distinct and experienced teams into one cohesive solution provider for the industry by offering: access to a global network of sites, amplified patient engagement, direct-to-patient/caregiver travel services, and a site infrastructure toolkit for research-naïve physicians and health centers. Learn more at www.clin-edge.com. Clinical Pipe is the industry’s first commercially available, system-agnostic EHR-to EDC connector app. It works seamlessly with major EHR systems (Epic, Cerner, AllScripts and GE) as well as leading EDC systems such as Rave and InForm. The app doesn’t require any protocol-specific customization; just some mapping configuration on both ends. Learn more at www.clinicalpipe.com. Cmed is an innovative, full service, technology-led CRO, bringing together a team of experienced people and its own innovative technology to inspire and drive real progress throughout the clinical trial process. Cmed’s new generation Clinical Data Suite, encapsia ®, streamlines the capture, management and reporting of clinical data beyond what is currently possible, offering live access to all clinical data and advanced insights, within a single platform. Learn more at www.cmedtechnology.com. Using artificial intelligence on medical records, Deep 6 AI provides a self-service portal for researchers to find more, better-matching patients for their clinical trials in minutes, not months. Learn more at www.deep6.ai. EDETEK is an innovative clinical solutions company that provides high-quality technology and services to life sciences companies. Our digital clinical platform, CONFORM™, fulfills our clients’ data engineering and business analytics needs. Our metadata driven solution offers unparalleled advantages in data quality, time to completion, and cost efficiency. Visit www.EDETEK.com. Florence advances clinical trials with through software for managing document and data flow between research sites and sponsors. Florence eBinders is trusted by 3,000+ research teams for eRegulatory / eSource management, and Florence eHub is revolutionizing site-sponsor connectivity in a shared workspace for startup, monitoring, and quality control. Learn more at www.florencehc.com. 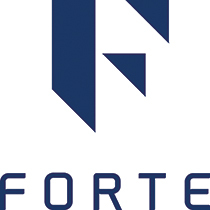 Forte provides software and services in the critical areas of clinical trial management, clinical data management and research administration for cancer centers, academic medical centers and health systems. With a strong belief in community, collaboration and standards-based development, Forte also facilitates the Onsemble Community, a customer-exclusive group for peer networking, best practices and support. Learn more at www.forteresearch.com. GlobalCare Clinical Trials, LLC is the leading global provider of ambulant healthcare services for clinical trials. GlobalCare provides innovative, GCP-compliant services for biopharmaceutical companies by conducting selected study visits at locations convenient and comfortable for the patient when travel to the investigator site is not practical. GlobalCare’s traveling clinicians provide patients with a convenient way to participate in trials regardless of study duration, frequency of visits, their disease state or distance to the study site. Additionally, GlobalCare’s patient-centric approach helps to accelerate patient recruitment and improve study patient compliance and retention. Learn more about us at http://globalcarect.com. Hawthorne Effect is a tech-enabled service that delivers timely, accurate and complete clinical trial data. Our network of HEROs, trained in clinical trial conduct and equipped with mobile technology, bring study visits to patients anywhere, anytime solving the problems of patient retention and missing data. Learn more at www.hawthorne-effect.com. ICON plc is a global provider of drug development solutions and services to the pharmaceutical, biotechnology and medical device industries. The company specialises in the strategic development, management and analysis of programs that support clinical development – from compound selection to Phase I-IV clinical studies. With headquarters in Dublin, Ireland, ICON currently, operates from 84 locations in 38 countries and has approximately 12,300 employees. Further information is available at www.iconplc.com. Smart packaging hybrid solutions combine printed sensors with a flexible electronic Med-ic® tag to track medication adherence at unit dose levels. Moving beyond patient diaries, pill and refill counts, Med-ic® provides real-time, secure adherence data at the patient’s finger tips. Patient centric interconnectivity is the key to increasing the effectiveness of clinical trials and clinical care. Med-ic® & your toolkit, let’s make it happen. Learn more at www.informationmediary.com. IQVIA (NYSE:IQV) is a leading global provider of information, innovative technology solutions and contract research services dedicated to using analytics and science to help healthcare stakeholders find better solutions for their patients. Formed through the merger of IMS Health and Quintiles, IQVIA has approximately 55,000 employees worldwide. Learn more at www.iqvia.com. Medable is a user-friendly application platform purpose-built for healthcare and life sciences industries. Through our award-winning technology stack, we provide researchers the ability to connect, engage, and learn from patients and participants in real time, significantly reducing the cost and time it takes to get your clinical trial up and running. On Medable’s secure, HIPAA-compliant, “no coding required” platform, patient and provider-facing apps are easy to build and quick to deploy, enabling rapid enrollment, meaningful engagement, and actionable, real-world insights. Join us as we work with leading research teams to map the human digitome – providing the first digital signature of health and disease. Medable is transforming the way you work, treat, cure, and dream. For more information visit www.medable.com. Medidata is leading the digital transformation of life sciences, with the world’s most used platform for clinical development, commercial, and real-world data. Powered by artificial intelligence and delivered by the #1 ranked industry experts, the Intelligent Platform for Life Sciences helps pharmaceutical, biotech, medical device companies, and academic researchers accelerate value, minimize risk and optimize outcomes. Medidata serves more than 1,000 customers and partners worldwide and empowers more than 100,000 certified users every day to create hope for millions of patients. Discover the future of life sciences at www.mdsol.com. For more than 30 years, MMG has accelerated recruitment in hundreds of trials in over 70 countries for pharmaceutical, biotech, and government clients, including the U.S. National Institutes of Health. Our teams have extensive insights into the motivations and behaviors of patient populations and know how to overcome enrollment barriers and achieve genuine engagement and action. As part of Omnicom Health Group, the world’s largest health communications network, we leverage insights from more than 3,200 health communicators. Visit www.mmgct.com. MRN specializes in the conduct of clinical trial visits in the patient’s home and supporting clinical trial sites with nursing resources. We understand the complexities of today’s clinical trial environment and the burden this places on both patients and sites. Our nursing services are designed to ease these burdens, accelerate patient recruitment and retention and maximise the impact of the trial for the sponsor. To learn more, visit www.themrn.co.uk. Optum is a leading health services and innovation company dedicated to helping make the health system work better for everyone. With more than 133,000 people collaborating worldwide, Optum combines technology, data and expertise to improve the delivery, quality and efficiency of health care. To learn more, visit: optum.com/life-sciences. PAREXEL is the world’s leading innovator of biopharmaceutical services. We simplify our clients’ journey of transforming scientific discoveries into new medical treatments for patients with high-quality Phase I-IV clinical research, regulatory, consulting, and market access services. PAREXEL develops breakthrough innovations and solutions by leveraging its comprehensive therapeutic, technical, and functional expertise, in more than 100 countries. For more information visit www.PAREXEL.com. PhysIQ is a specialized analytics company that applies FDA-cleared machine learning analytics to sensor-derived physiological data to transform continuous heart rate, respiration rate, activity, etc into personalized insight. Our scalable device agnostic, CFR Part 11-compliant cloud based platform is transforming how pharma companies leverage continuous real world data to validate the safety and efficacy of their products. For more information, visit: www.physiq.com. Quest Clinical Trials Connect is a multi-phase program designed to provide a complete, end-to-end solution focused around trial logistics and recruitment. We connect patients and physicians to clinical trial sponsors and clinical research organizations to help drive more effective and efficient clinical trials. Learn more at www.questclinicaltrialsconnect.com. Quotient Sciences is a CDMO:CRO pharma services business dedicated to accelerating drug development from first-in-human to proof-of-concept. Our formulation development, clinical pharmacology and clinical manufacturing services are provided either individually or as an integrated solution and our unique Translational Pharmaceutics® platform is proven to significantly shorten timelines and reduce development costs. Learn more about us at www.quotientsciences.com. Saama Technologies is the advanced clinical data and analytics company, unleashing wisdom from data to deliver better business outcomes for the life sciences industry. Saama’s unified, AI-driven clinical data analytics platform, seamlessly integrates, curates, and animates unlimited sources of structured, unstructured, and real-world data to delivering actionable insights across all therapeutic areas. The award-winning platform gives unprecedented real-time visibility into clinical data, enabling sponsors to file New Drug Applications (NDAs) more efficiently to bring drugs to market faster and at lower costs. Learn more at www.saama.com. Target Health Inc, a full-service CRO and clinical trials software company, serves the pharmaceutical, biotech, medical device and diagnostics industries with full regulatory and clinical trial services. In addition, Target Health has developed a full suite of software products supporting the paperless clinical trial. Our pledge is to optimize the life cycle of drugs, biologics and devices with expertise, leadership, innovation and teamwork. We provide superior, consistent performance with the highest standards of ethical conduct and integrity. For more information, visit www.targethealth.com. Transparency Life Sciences is the world’s premier all-digital drug development services company. We use digital technologies to improve human health by including patients in trial design, offering access to trials from home, generating more relevant and informative data, and reducing the costs of drug development. Learn more at www.transparencyls.com. TrialScout transforms the experience of finding and participating in clinical trials for patients everywhere. Sites, sponsors and CROs leverage TrialScout to more efficiently and effectively share their story and engage patients to consider participating in their trials. With objective, independent ratings informed directly by patient reviews, TrialScout empowers prospective new patients to confidently select a trial site trusted by their peers. Learn more about us at www.circuitclinical.com. Trifecta is the global leader in investigator training. We’ve designed and developed training for hundreds of clinical trials worldwide. We’re raising the industry IQ with intelligent, easy-to-use live and online solutions that give you unprecedented control over the clinical training process. For more information, visit www.trifectaclinical.com. WIRB-Copernicus Group (WCG) is the leading provider of solutions that increase efficiencies in the clinical trial process through innovation, clinical expertise, and technology. The industry’s first clinical services organization, WCG enables biopharmaceutical companies, CROs, and institutions to accelerate new treatments to patients, while maintaining the highest standards of human subject protections. Learn more at www.wcgclinical.com. AiCure uses artificial intelligence (AI) to visually confirm medication ingestion on smartphones. The process is entirely automated. The clinically-validated platform reduces the risk of trial failure by increasing adherence, allowing for early detection of non-adherence, and ensuring optimal data quality. Trials benefit from increased statistical power and reduced costs. Learn more at www.aicure.com. Andaman7 is a patient centric health solution to: help patients better manage their health data while powering; researchers needs for patient interaction (recruiting, outcome measurements, communications) and supporting; hospitals, doctors, caregivers, and payers in their disease management programs. Learn more at www.andaman7.com. Through its products and technology-driven solutions, BBK Worldwide – newly rebranded as The Patient Experience Company™ – is committed to educating consumers, engaging participants, unburdening sites, and supporting sponsors, a combination essential for enhancing the clinical trial patient experience and advancing the industry’s R&D efforts. One of the few remaining corporately independent and full-service R&D marketing firms, BBK has maintained its position at the forefront of innovation for 35 years. Headquartered near Boston, BBK has partners and offices across Europe and the Asia-Pacific region. Learn more at www.bbkworldwide.com. We offer a unique suite of solutions, with a unique perspective on clinical research development. We focus on bringing together best-in-class science, technology and service to drive superior clinical outcome results for our clients and for their patients. 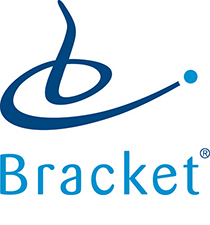 For more information, visit: www.bracketglobal.com. CluePoints® is a Risk-Based Monitoring and Central Statistical Monitoring solution that has been designed and perfected over the last 15 years. It employs unique statistical algorithms to determine the quality, accuracy, and integrity of clinical trial data both during and after study conduct. Learn more at www.cluepoints.com. Data Cubed (D3) is the first in mHealth to combine a sophisticated array of real-world data capture with gaming technologies to increase participation, adherence, and retention – making sense of the holistic, real-world human experience. These tools improve data quality, provide crucial insights, and significantly lowers the cost in clinical research. D3 invests in beautiful and functional patient journeys by creating “sticky” gamified interfaces to bring the patients and sponsors the best possible user experiences and keep them for the long-term. D3’s team of seasoned scientists, behavioral health experts, engineers and academics offer experience and peace of mind to help you do what you do best. Actionable Data. Lower Cost. Better Insights, Smarter Decisions. To learn more, visit www.datacubed.com. DataArt is a global technology consultancy that designs, develops and supports unique software solutions, helping clients take their businesses forward. Recognized for their deep domain expertise and superior technical talent, DataArt has earned the trust of some of the world’s leading brands and most discerning clients. Learn more about us at www.dataart.com. Greenphire is the global leader in clinical trial payment automation. Greenphire is exclusively focused on optimizing clinical trial performance by streamlining payment processes from sponsors and CROs to sites and patients. The choice of industry leaders worldwide, Greenphire supports site centricity and sustainability, increases patient engagement and retention, and provides more comprehensive financial data, resulting in better trials. For more information, visit www.greenphire.com. Built on the premise that the patient voice is critical to all phases of the product lifecycle, HealthiVibe offers a systematic, structured process for pharmaceutical manufacturers to engage with patients at every stage: from clinical trial design all the way through post-approval activities and research. Offering a full-service solution that spans a range of activities, from moderating patient advisory boards to fielding clinical trial participant surveys to performing qualitative and quantitative outcomes research, HealthiVibe works to help our clients continuously engage with patients, improve clinical trial design, and bring all aspects of the product lifecycle into alignment with patient needs. For more information, visit www.healthivibe.com. For your study to succeed, efficient patient recruitment and retention is vital. That’s why Langland brings a faster, smarter and – most importantly – human approach to clinical trial recruitment. As the world’s most creatively awarded health and wellness advertising agency, our work blends data, technology and patient insight to inspire action. This, combined with our innovative and effective enrollment strategies drives an approach that has helped recruit more than 350,000 patients for 400 studies across 75 countries. For more information, visit www.langland.nyc. MedPoint Digital develops specialty eClinical platforms for clinical trial portals, interactive modules, virtual investigator meetings, and mobile patient apps. Our digital solutions enable sites, sponsors and CROs to be more productive, with online Training, Documents, eReg Binder™ (eISF), Alerts, Messages, SUSAR eSafe™, Site Tools, Visit Guides, InSite™ Virtual Monitoring, Single Sign-on and Metrics. For more information visit www.medpt.com. mint Lesion™ analysis software provides comprehensive, compliant response assessment for clinical trials and routine radiology assessment. With an extensive array of standardized response criteria (RECIST 1.1, immune-response, Lugano, RANO, etc), Mint Lesion™ facilitates research using robust response algorithms, data analytics/mining, radiomics and the simplified provision of results. Mint Lesion™ is used worldwide for cancer centers, pharma/biotech, imaging CROs and radiology practices. Learn more at www.mint-medical.com. muv is a transformed travel and logistics company. We’re pioneering, adaptable and we’re on a journey. We don’t just move people from point to point. We muv people. Further than ordinary and beyond the expected. Learn more at www.muvpeople.com. Drug Compliance in Clinical Trials is essential. PillTracker helps the right patient take the right pill at the right time. Our medication compliance platform creates a connected point of care in the patient’s hands for high value drugs in clinical trials and commercial use. PillTracker is complimentary to CGMP and Quality systems, and patient-friendly. To learn more, visit: www.pilltracker.com. SHOEBOX Audiometry is an iPad-based audiometer used to monitor for drug-induced hearing loss. Automated, mobile, and easy to use, SHOEBOX is clinically validated for use outside of a sound booth. It automates shift detection, is language independent, and eases the burden on participants. Consider SHOEBOX a modular solution to a CRO. Learn more at www.shoebox.md. snapIoT has created the industry’s first complete, self-service, mClinical Platform, snapClinical™ that covers the full scope of clinical trials including; eQualification, eConsent, EDC /ePRO /COA and reporting/ analytics. snapClinical creates, designs, launches and manages clinical trials without software coding and is validated for compliance with 21 CFR Part 11 and EU Annex 11. For more information visit, www.snapiot.com. From ePRO to Virtual Trials and everything in between, THREAD is a remote patient research platform providing technology and tools for patients, sites and sponsors/CROs. More than just patient engagement apps, ePRO, and eConsent, THREAD also delivers Telehealth, one-click device integrations, researcher and site portals, compliant cloud capabilities and more. For more information, visit www.threadresearch.com. Axiom, a recognized leader in the business of law, provides tech-enabled legal, contracts, and compliance solutions for large enterprises, serving 75% of the top-50 life sciences companies globally, including 9 of the top 10. The firm comprises 2,000-plus lawyers, professionals, process engineers and technologists who serve over half the Fortune 100 across 15 regions and 3 centers of excellence globally. Axiom’s solutions combine legal experience, technology, and data analytics to dramatically reduce risk and cost, including our clinical trial contracting solution to reduce negotiation time, accelerate drug development, and improve site satisfaction. Learn more at www.axiomlaw.com. ClinOne’s mobile and web applications accelerate clinical trial enrollment, reduce protocol deviations and manage the clinical trial experience for patients. Our goal is to simplify and accelerate trials through a unified clinical trial operating system, linking sponsors, sites and patients in a single platform. Today over 2,800 clinical trials in 54 countries rely on ClinOne’s technologies. Learn more at www.clinone.com. The Intel® Pharma Analytics Platform is an edge-to-cloud artificial intelligence (AI) solution that helps improve clinical trials. Remote patient monitoring from an array of sensors and wearable devices enables continuous clinical data capture. The machine learning algorithms quantify disease progression and assess the impact of therapies – helping streamline trials, reduce costs and deliver fresh insight. To learn more on our work in healthcare, visit intel.com/healthcare. Javara is an Integrated Research Organization (IRO) driven to change the clinical research experience and expand access to clinical trials for both patients and healthcare providers. Javara aids to reduce cost of care, improve health outcomes and increase the engagement of patients in their own healthcare management through clinical research. Learn more at www.javararesearch.com. NightWare is a digital therapeutics company treating Nightmare Disorder resulting from PTSD. NightWare is software that runs on the Apple Watch, and after a learning period, detects a nightmare and intervenes to arouse the sleeper out of the nightmare without waking them. NightWare has had excellent preliminary results and is currently conducting our pivotal RCT with the Minneapolis VA. NightWare projects FDA clearance and product launch in 2020. Learn more at www.night-ware.com. PPD is a global CRO providing comprehensive, integrated drug development, laboratory and lifecycle management services. Clients include pharmaceutical, biotechnology, medical device, academic and government organizations in 47 countries. We apply innovative technologies, therapeutic expertise and a firm commitment to quality to bend the cost and time curve of drug development. Learn more about us at www.ppdi.com. Reify Health is on an ambitious journey, with you, to bring our vision of a more creative, responsive healthcare system to life. Clinical trials keep getting harder. We need to work smarter. Research sites do the work that powers clinical research. But today, sites are often forced to choose between recruiting the next patient and taking time to record information in a sponsor portal. Sites are bogged down by the tools sponsors use. And sponsors still struggle to get the recruitment information they need from sites. As a first step, we have created a better way for sites and sponsors to enroll trials together. With our digital platform StudyTeam, we help sites do their work more effectively and share information with sponsors more easily. We help sponsors reduce site burden and enroll trials more rapidly. Learn more at www.reifyhealth.com.